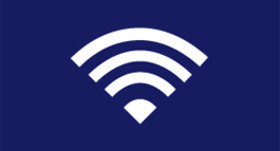 「Meet Local」Baggage service and local community information can be found here! 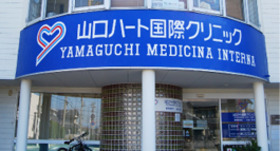 iN HAMAMATSU.COM. The GATE HAMAMATSU building is a three minute walk from Hamamatsu Station. A tourist information desk corner just opened. Functioning as a community space where you can connect with the local community, we of course also offer travel services such as sightseeing information, registration for local events, luggage storage services and so on! DOWNTOWN MAP is a must for sightseeing in town! We provide in English, and traditional and simplified Chinese. Please contact our staff for detailed recommendations and futher informtion. 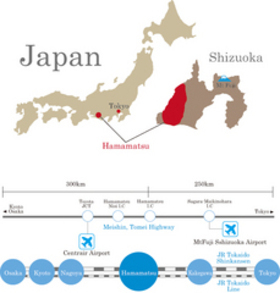 The downtown map also has guide around the Lake Hamana and mountains in the northern part of Hamamatsu. It's not possible to sightsee while carrying around your suitcase! The Info Desk will help you travel lightly! It is possible to apply throug the the online service "Tebura." The desk information of The GATE HAMAMATSU building closes at 7pm everyday. In the event you arrive after 7pm, your belongings will be returned once the building opens again at 9:00am the next day. You will be charged for the additional day. On the "experience page," you can register for various activities. Please register here the date and time, number of people, and whether an interpreter guide is necessary, etc. Please be aware that some activities have a registration deadline. There may be times when the application cannot be confirmed on the spot due to a fixed holiday etc. There is no payment upon application. You can pay the designated amount at each activity location on the day. You can use a computer for internet browsing, and charge your cell phone for free. 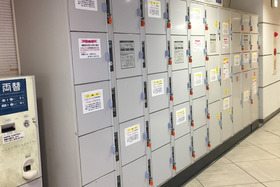 While waiting for your phone to charge, you can collect information about Hamamamtsu, check the bus and train schedule, or the opening hours of the shop you are looking for, etc. Or you can chat with the staff! Your time is valuable, so please enjoy it and make the most of it! When you come to Hamamatsu, please drop in first! It is a place full of Hamamatsu's charms and seasonal topics, such as a rental shop, a shopping corner where you can buy Hamamatsu souvenirs, a café where you can eat snacks, such as Hamamatsu dumplings (gyouza), and see various displays related to Hamamatsu. Feel free to leave your cumbersome belongings here and explore Hamamatsu and the Hamanako area! A shop, where you can eat Hamamatsu dumplings (gyouza) made in Shizuoka prefecture with Hamamatsu pork! On sunny days outdoor space is also available. In addition to Hamamatsu dumplings, you can also eat oden, pho , or our carefully prepared coffee. Stop by and see yourself! Let's enjoy Hamamatsu's famous "Hamamatsu Gyouza."